John McPhee: A Reporter's Reporter John McPhee has written at length about fish, geology, oranges, nuclear power, basketball... and the list goes on. At 75, the great reporter feels he has plenty of words, characters and subjects left to explore. John McPhee has written at length about fish, geology, oranges, nuclear power, basketball... and the list goes on. At 75, the prolific journalist feels he has plenty of words, characters and subjects left to explore. He has already published 27 works of non-fiction. His long pieces in The New Yorker are treasured by his many fans. A shy man, McPhee shuns most interviews and doesn't much like having his photo taken. But he connects deeply with his subjects. 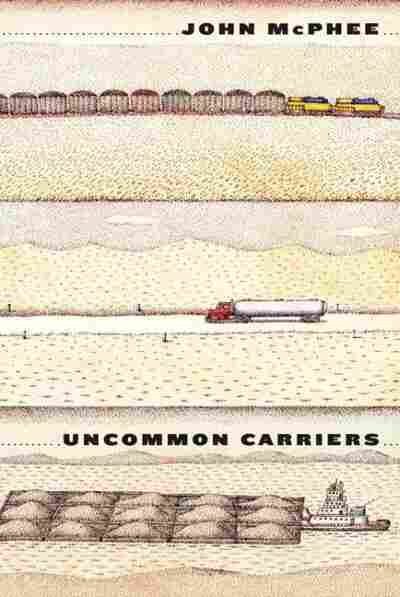 His latest book is Uncommon Carriers, a collection of stories about freight... and like all of McPhee's best work, about the people involved with sorting it, flying it, floating it and trucking it. It figures that a writer who has guided millions of readers through the complexities of nuclear physics, geology, engineering, merchant ships and basketball, would have detailed instructions on how to get to his office. It's a good thing, too. Because the crew sent to interview John McPhee struggled to navigate the maze of streets, alleys and walkways on the Princeton University campus, where McPhee works. A voice-mail message offered help and we took him up on the offer, getting a detailed, 10-minute verbal map for what amounted to a journey of about one block. "Look for the brick, castle-like building with turrets on the roof," we were told. "My office is in one of those turrets." No ivory tower for John McPhee. He has an ivy turret. Well, there wasn't really any ivy, but he does inhabit a room-sized turret on the roof of Princeton's geology building. It's a long room, about the size of a boxcar, with lots of natural light and a high ceiling. Crane a neck at the corner of one window and the skyscrapers of Trenton are visible. McPhee could care less about the buildings. He's interested in the river that flows past them. In fact, the day we visited in early June, McPhee spent the morning canoeing and fishing on his beloved Delaware River. Interviewing John McPhee is the opportunity of a lifetime for a reporter who also grew up near the Delaware, and grew up reading John McPhee. At times, in my career, I found myself on McPhee's trails, in the bush in Alaska (Coming into the Country), on the Colorado River in the Grand Canyon (Encounters with the Archdruid), in the Great Basin region of Utah and Nevada (Basin and Range) and up the slopes of the Rocky Mountains (Rising from the Plains). 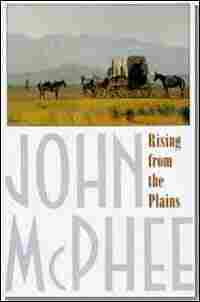 Four decades of writing and 27 books make McPhee one of the most prolific non-fiction writers of our time. He's written about the famous (for instance, the young Bill Bradley in A Sense of Where You Are) and famously about pursuits of the common man. But he doesn't often sit down for interviews himself. The publication of a new book, Uncommon Carriers, provided this rare opportunity. I expected a dark room paneled in oak and lined with floor-to-ceiling bookshelves with gold-lettered tomes. But the office in the turret has plain walls and modest shelving. The books are well-used and useful: close to a dozen dictionaries; reference books focused on geology and fish; loose-leaf binders filled with notes; books his writing students have written; and copies of his own work. A back-breaking copy of the Oxford English Dictionary sits on a plank atop a waist-high refrigerator. 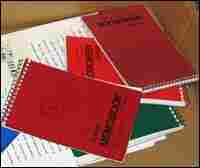 Colorful, pocket-sized spiral notebooks fill boxes on the floor. Geologic maps grace the walls. There are also artifacts of a writer's life: a photograph of a birch-bark canoe rising from its reflection in a lake; a basket filled with chunks of Powder River coal from Wyoming; a hazmat placard from a truck; a round plastic dish filled with pebbles from Nebraska. And there are mementos of a writer's family, including photos of grandchildren and a computer named for a grandchild. There's a strong temptation to describe McPhee himself. He doesn't appear in photographs on the covers of his books. McPhee wants his readers to focus on his words, he says. He seems to value privacy and he admits to being shy. So, I'll just say that he's bearded and clothed in khaki. I'll quote his own description of his height, a phrase he uses in Uncommon Carriers to describe the depth of river water as he drags a canoe upstream: "There were times, in holes, when I was up to my armpits, but that could not be called dramatic. Among armpits on this planet, mine do not imply great depth." McPhee was born in Princeton 75 years ago, just down the street from his office. His father worked in the building next door for 40 years. As a kid, he rode his bike around the Princeton campus. At 14, he worked in the very same building he works in now, "killing fruit flies." He went to high school and college in Princeton. 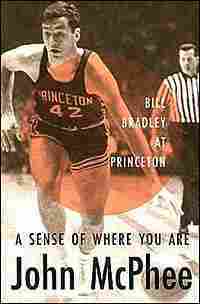 He's now spent as much time on the Princeton campus as his father. And he can't imagine leaving. "Princeton... is just everything," he says. "It's been my whole life, everything that's plus and minus that's happened. All the bad things. All the good things, by and large... the sicknesses and the health. The good news. The bad news. It's all right here." Missing from the Princeton office is any indication of what he might focus on next. "The next project I'm thinking about is vague," he says. "It may be a short piece about geology, something to do with cretaceous extinction. What caused it when the dinosaurs disappeared? It's not as clear as people think. I might get into that subject." Whatever the subject, it's bound to draw him away from the place he calls his "fixed foot," but just long enough to identify compelling characters. He'll stick with them for days, weeks or even months, filling those pocket-sized notebooks with the seeds of another New Yorker article or full-fledged book. 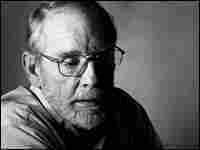 John McPhee is then bound to return to his turret in Princeton. "I do all my writing here," he says. "I'm here all the time, every day." Except when the canoe and fish call from the Delaware River.